BITSPEC, providers of e-learning courses in Lean Six Sigma, is the latest training company to adopt our lean simulation products into their courses. Please see the link below for information on their accredited Yellow Belt, Green Belt, and Black Belt courses. This entry was posted in New Customer Announcement and tagged BITSPEC on April 29, 2015 by Jerry Levasseur. Here is a screenshot of the latest Lean Simulation. It demonstrates a significant improvement can result from reducing transport times. The key is lower travel times between workstations lead to smaller batch sizes. 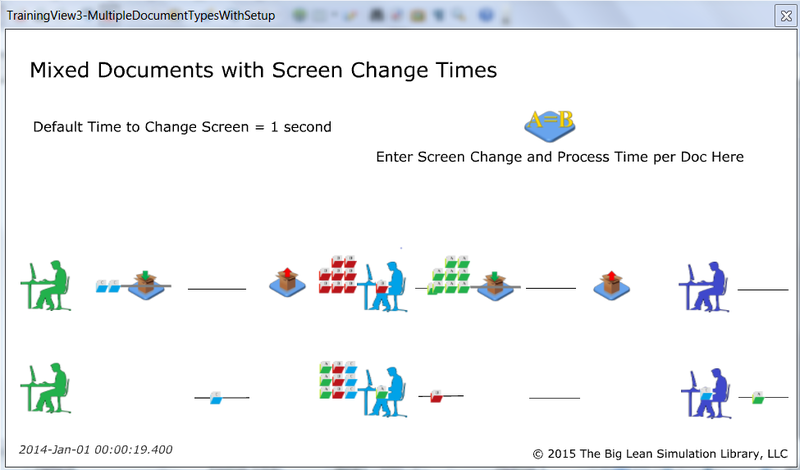 This entry was posted in New Simulation and tagged Batch, Continuous Flow, Lean Simulation, Office Simulation on April 20, 2015 by Jerry Levasseur. 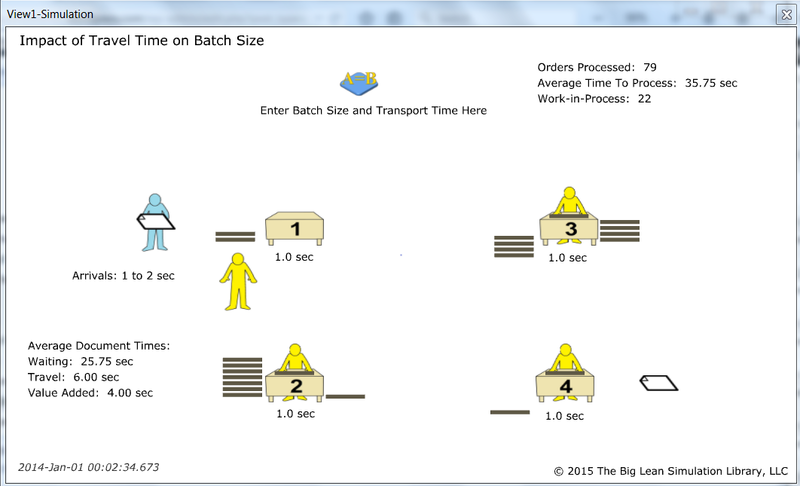 We just completed the Office version of the “Batch vs One Piece Flow with Setup” simulation. The video preview should be up in a day or two. This is the same as the manufacturing model, except terminology and graphics have changed to be more welcoming to people working in an office environment. 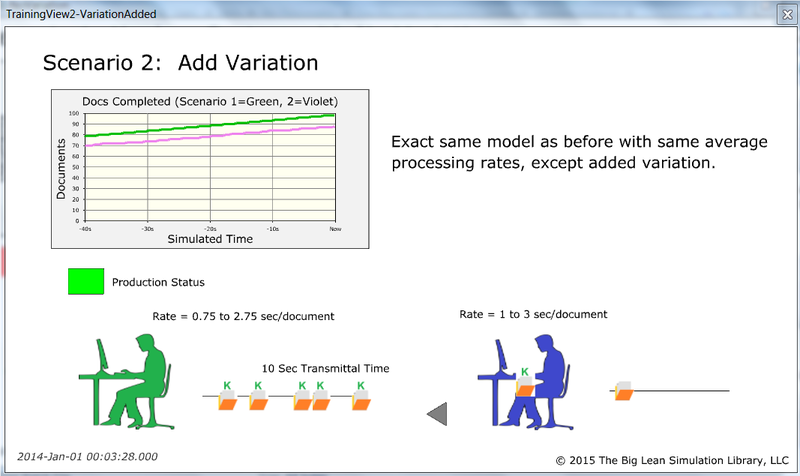 This entry was posted in New Simulation and tagged Materials, Office Simulation on April 17, 2015 by Jerry Levasseur. 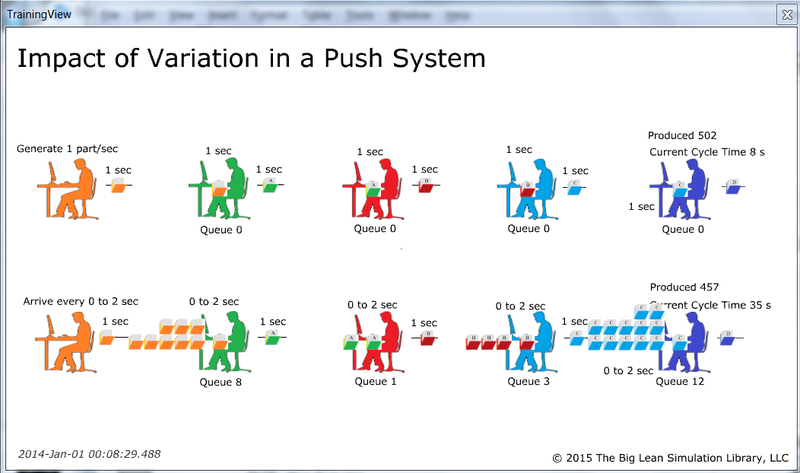 This will now be simply one simulation file called “Variation in a Push System-Office Work”. 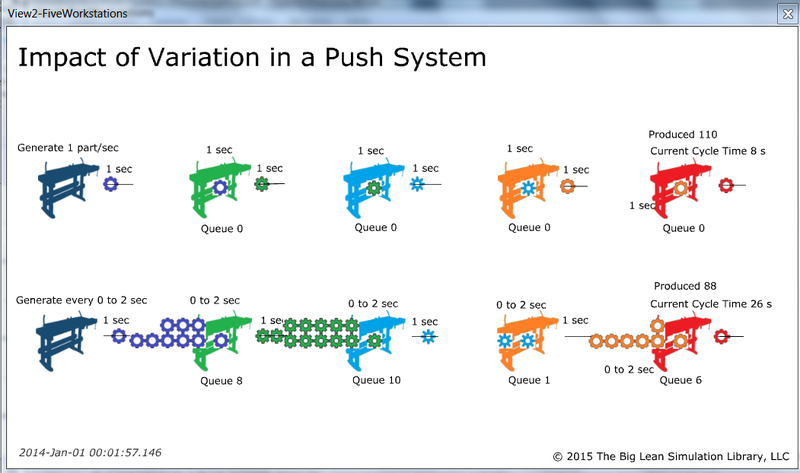 This will now be simply one simulation file called “Variation in a Push System-Manufacturing”. The two different versions were very small models and we felt they could be presented better as one file. The screenshots and documentation have already been updated and the videos will be in the next few days. Lean Six Sigma trainers will now have two fewer simulation files to go through. This entry was posted in News on April 11, 2015 by Jerry Levasseur. We have a new version of the Emergency Department simulation. 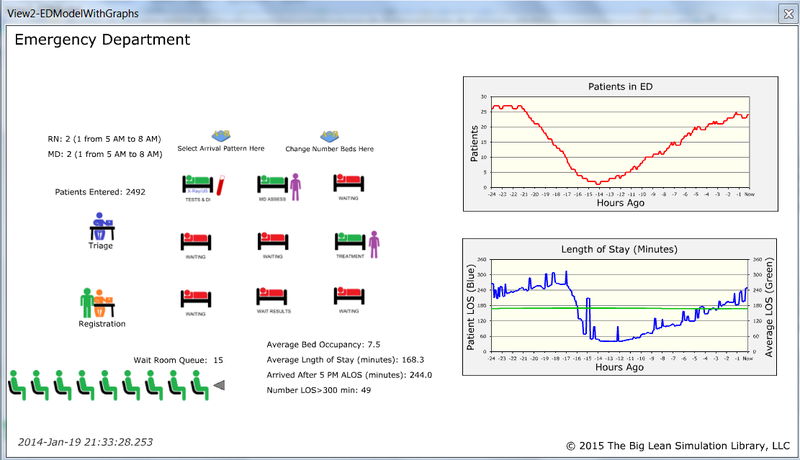 This entry was posted in New Simulation and tagged Emergency Department, Healthcare, Hospital Simulation, Lean Simulation on April 9, 2015 by Jerry Levasseur. We will soon be adding an Office version of the Variation in a Pull System-Manufacturing simulation. The simulations are identical, except the animation is changed. This will make it easier for those presenting the concept in a non-manufacturing environment. This entry was posted in New Simulation and tagged Lean Simulation, Training on April 7, 2015 by Jerry Levasseur.